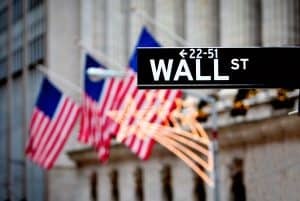 Broker-dealers Citadel Securities, Natixis Securities and MUFG Securities have been fined a combined $6 million by the US financial regulator for submitting incomplete and inaccurate blue sheet data. The Securities and Exchange Commission (SEC) said that over a period of several years all three firms made numerous deficient blue sheet submissions, which the watchdog uses to investigate potential insider trading and other fraudulent activity. Citadel Securities, the largest provider of blue sheet data of the firms fined, submitted incorrect data for almost 80 million trades, while Natixis and MUFG submitted incorrect data for around 150,000 trades and 650,000 trades respectively. The SEC added that the firms admitted the findings in its cease and desists orders, and agreed to pay penalties of $3.5 million for Citadel Securities, $1.25 million for Natixis, and $1.4 million for MUFG. In September, Cowen Execution Services suffered similar failures in its submissions of blue sheet data and was fined $2.75 million. The SEC said at the time that Cowen’s submissions missed vital information and contained deficiencies on customer identification, order execution times, exchange codes and transaction type identifiers, across a four year period between 2012 and 2016. All three companies have made efforts rectify the issues and address the causes for its inaccurate submissions, by introducing an outside consultant and new policies and procedures for processing blue sheet requests. The post Citadel Securities, Natixis & MUFG fined $6 million for blue sheet data failures appeared first on The TRADE.